Hop into a few tournament boats today and you might indeed be intrigued by the number of competitive B.A.S.S. 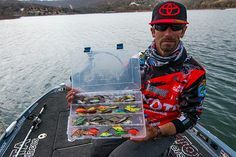 and FLW anglers concealing cameras in their compartments. Fellow Elite Series pro Ott DeFoe has been an Aqua-Vu user for years. 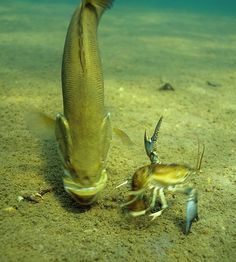 And beginning in the late 1990s, smallmouth specialist Joe Balog ran an underwater cam to uncover legions of Great Lakes bronzebacks and numerous tournament wins. These days, he’s retracing the late Doug Hannon’s Florida footprints, probing underwater jungles for the reappearance of bigmouth. You might be amazed by what he’s already uncovered. So why all the secrecy surrounding this secondary piece of electronics? 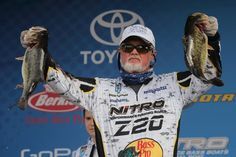 The reason for the silence, says Lester and other anglers, is a simple matter of verifiable fact versus virtual reality. 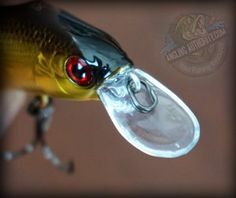 Lester, the 28-year-old Fayetteville, Tennessee-based pro angler has been dunking underwater optics for the past year, making some striking on-water discoveries in that time. Linked to his boat’s main sonar unit, Lester utilizes an Aqua-Vu Multi-Vu system to monitor the underwater world on the big 12-inch LCD. This direct camera connection also allows him to simultaneously compare sonar signals with underwater video, and to drop GPS digits on key zones uncovered with the camera. For instant spot-verification from anywhere in the boat, he also uses a smartphone-sized Micro 5 camera, which has its own rechargeable power source and color viewscreen. Most recently, Lester spent time fishing and inspecting a dam on the Tennessee River. 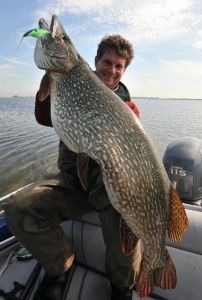 “Sonar showed loads of fish in the slack water behind a current break,” he noted. “But when I dropped the camera I saw mostly catfish and drum before finally spotting a couple big bass working in and out of the current. They’d hold up behind the current break, near bottom in 18 to 22 feet. 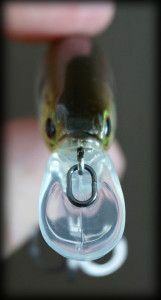 Every minute or so, a bass would dash out into the current to run down bait. Whether viewed as a time management tool, species identifier or prefishing secret weapon, an underwater camera has become a valuable extra electronics tool that can work in concert with sonar. Portable, intuitive to operate and always entertaining, cameras can be difference-makers for any angler, on the tournament trail or off. The fact that pros keep the trick under their collective hats tells you everything you need to know.